I almost surprised Julia, the co-ordinator of Zona Franca Masili (Free Trade Zone Masili). We had vague arrangements to meet, and I showed up on the afternoon we had tentatively agreed upon. However, I mistakenly went next door first, to the occupant’s complete surprise. Talking to the screen door I said hello but needed to go inside to see exactly who I was talking to, and found an old American woman telling me off. “You know this is someone’s house”, she warbled as I tried to make my way through her front room. Not quite the central American welcome I was used to. But to be fair, it was my mistake. I’d found the residence of the Jubilee House Community (JHC), a charity that helped the women’s cotton co-operative get started. Julia and I sat down and she told me a the story of the co-op. “Zone Franca Masili” origins arose in the aftermath of Hurricane Mitch, in 1998. The local area was devasted and the displaced people were relocated to a new community (Nueva Vida) a few km outside of Managua. Following relocation, unemployment levels within the wider community were as high as 80%. A US non-profit organisation (NGO), JHC, then looked into ways of helping the people here, and a sewing co-operative was established. 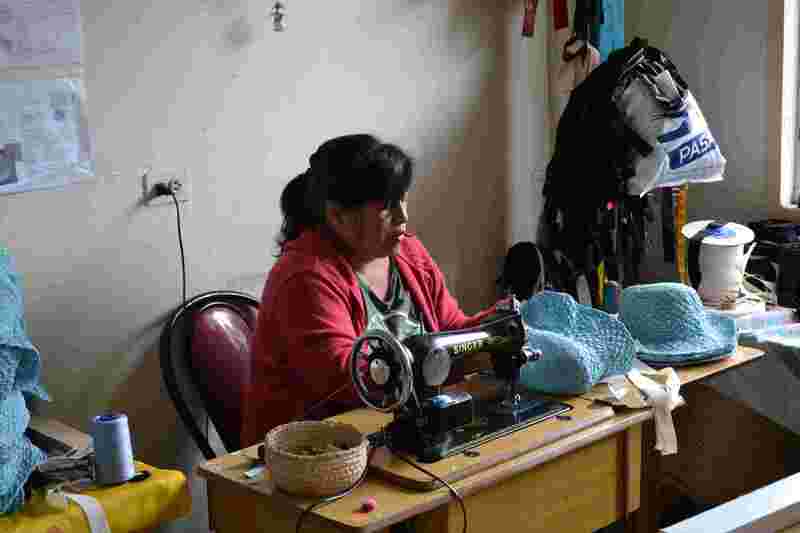 It took time and hard work to get the foundations ready – literally in this case, as the women took 2 years to build the sewing warehouse themselves – but by 2001, COMAMNUVI (Cooperativa Maquiladora Mujeres de Nueva Vida Internacional RL), as it was originally called, was able to get started. From 2005, the co-operative established itself as a worker-owned “Free Trade Zone”, the first of its kind in the world (though they call it a “Fair Trade Zone”). 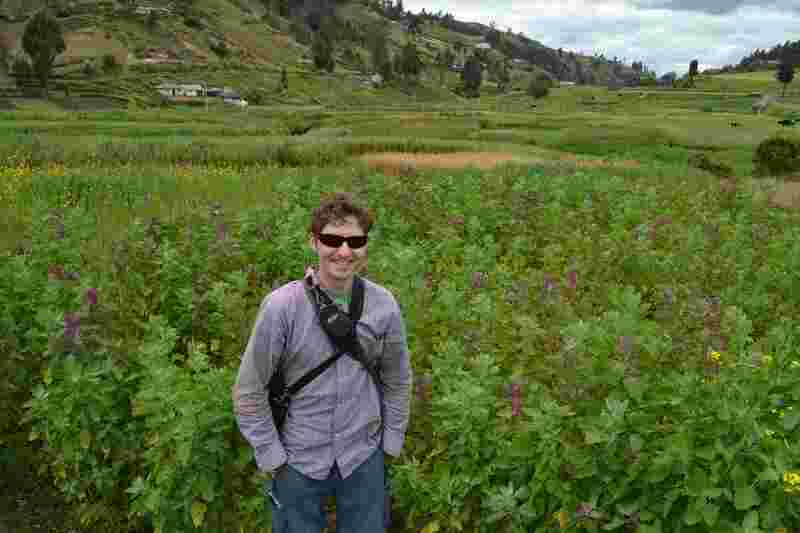 The cotton they use is organic and sourced from Peru. 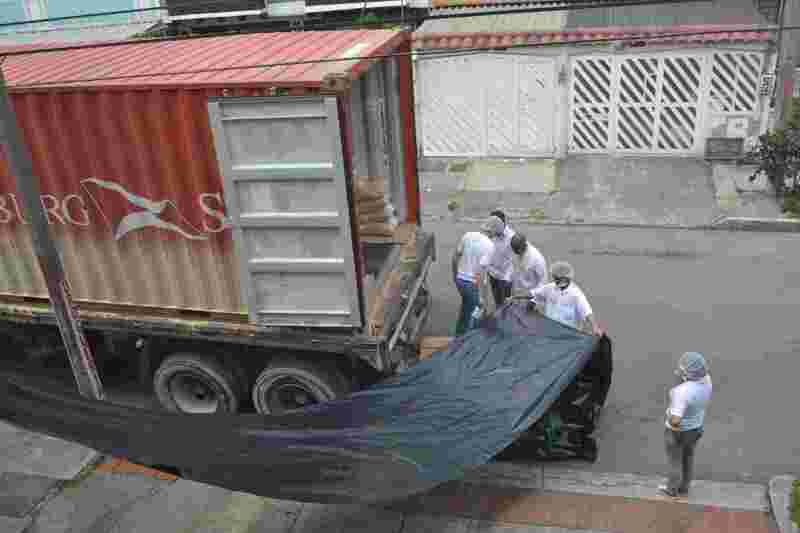 Julia said that they are trying a new initiative to source the cotton from within Nicaragua. The co-op started out as a women’s co-op but today there are a few male members as well. They work Monday to Friday and on Saturdays there are opportunities to study. Producing clothes gives the members a long-term job, not seasonal work that many were accustomed to before. They receive annual health checks and access to medicine, as well as small amounts of credit if needed. The members live across the road in a co-op community. 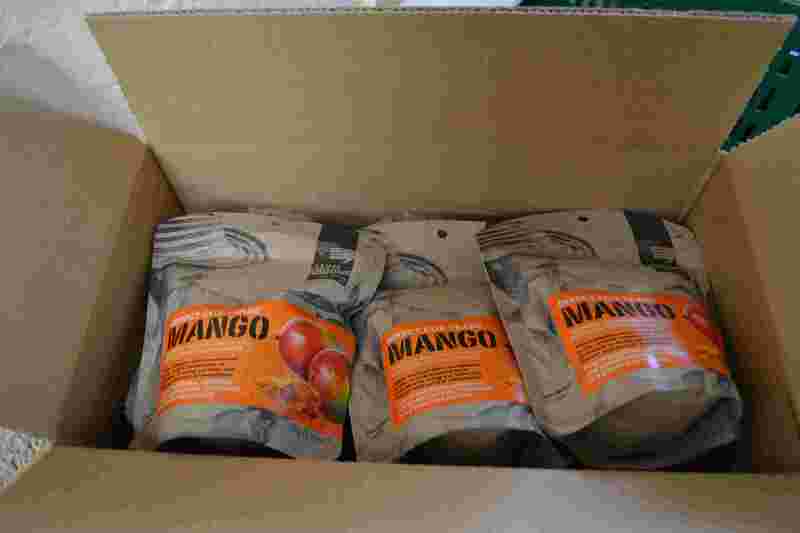 One of their major clients is the US company Maggie’s Organics, who have been buying their products since the beginning. They also export garments to Canada and Germany. 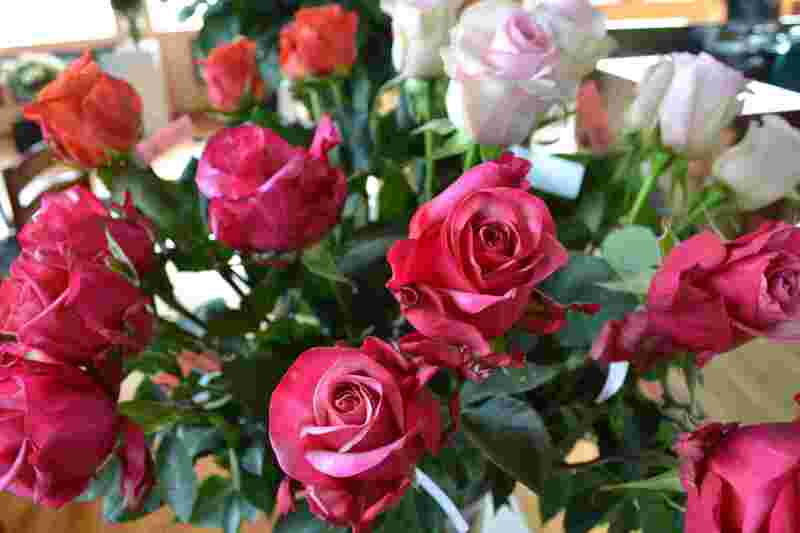 Cotton does not work like coffee and cacao, for example, in that there is no Fair Trade label on each end product or no minimum price for the products they sell. The co-op is a member of the WFTO (World Fair Trade Organisation) so adheres to Fair Trade ‘principles’. The monthly salary they receive (approx $150) is low by our standards, but it is a considerable improvement on what a lot of people earn there, and significantly better than what they started out paying themselves (as little as $2/day initially). Julia showed me where the real work happens. I met a few of the ladies who were stitching, sewing, packing or otherwise keeping busy, though it was quiet. The atmosphere was relaxed and friendly; the women clearly seemed to enjoy what they were doing. I saw plenty of t-shirts hanging up and some really interesting designs. It was obvious from my travels to and from the co-op that many people in the neighbouring areas do not have opportunities like the people at Masili. My short time in Nicaragua reminded me a lot of Guatemala. Most people in the country struggle to make an adequate living and assistance from outside NGOs is common. Initiatives like Zona Franca Masili are encouraging and an important lifeline that allows members and their families the opportunity to make a life a little above the bare minimum. It’s not much, but it provides them with some dignity and the hope that their families and children can make a better life. Julia is optimistic about the future and has expectations to help grow the co-operative and the number of families that benefit from it. This quote about the founding of the co-operative is an inspiring one: “This phase [the construction] was very difficult for us and many of our families told us that we must be crazy to invest so much in a project that would never have results. But when we look at our successes, it fills us with provide in our work and hope for the future of our cooperative“. Dona Marlena walked on ahead of me, her young daughter trailing behind us as if being pulled by a wayward piece of rope. She spoke rapidly and I tried to keep up and my mind focused. A member of a Fair Trade co-op, she was happy to take me on a wander around her small finca to show me what her farm looked like. I wasn’t expecting this. Earlier in the day I managed to negotiate Nicaragua’s unique addressing system to find the co-op office and cafe, having had good practice when in Esteli. It’s quite bizarre. Buildings are addressed with reference to local landmarks, whether or not they still exist. In this case, the “landmark” was a large hardware store. When I arrived I was most interested in the cafe. 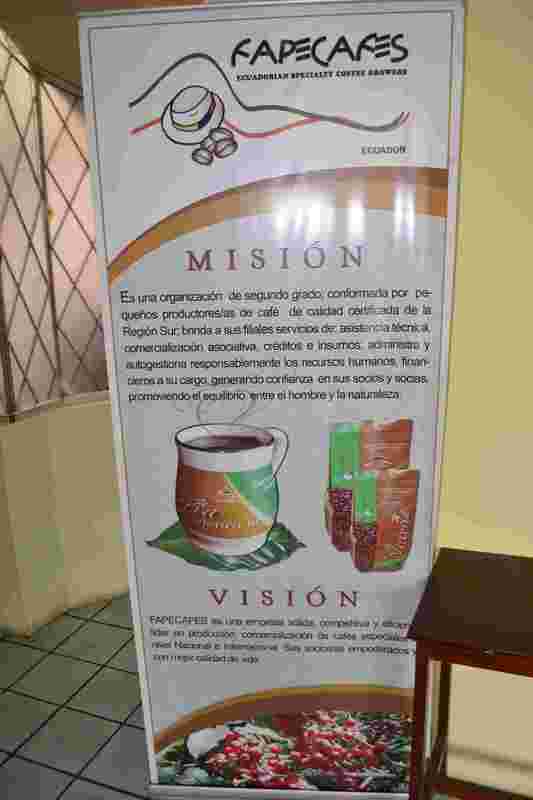 “Flor de Jinotega”, a cafe run by associates of the SOPPEXCCA co-op, is another great example of promoting Fair Trade coffee within the local community. Fatima, the manager of SOPPEXCCA was out when I arrived, so I comforted myself with a cup of coffee in the cafe, hoping to catch her in the afternoon. In the meantime I looked around in the cafe and smiled again that the community was able to make this cafe a reality. It promotes local coffee, the co-operative, helps generate better quality coffee production and gives the producers more opportunity to diversify and increase their income through different opportunities. Luckily, just before I left I met Eric. He told me that Fatima would be there just after lunch and that there would be an opportunity to visit a finca in the afternoon. Result! I met Eric after lunch and we headed off to meet some producers. The customary mode of local transport, apart from buses, is a motorbike. So I hopped on the back, without a helmet (yes, I know) and off we went. First stop was Dona Marlena, one of the co-op’s women producers. When we arrived we saw her husband and a couple of other guys finishing up some wood to help build a new ‘dwelling’ next to the main living area. It’s not a house, by any stretch. Marlena took Eric and I on a little tour of her finca. We saw her coffee plot and other crops she grows, such as corn, beans and bananas. She has 5 manzanas (about 3 hectares). 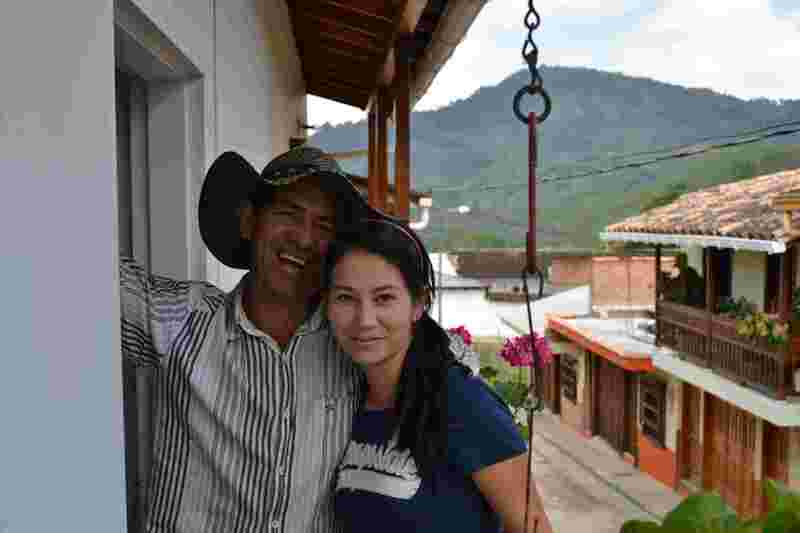 Marlena’s husband pointed out that although Fair Trade coffee prices are higher, he doesn’t feel any better off because the family has to pay more for other food they have to buy. 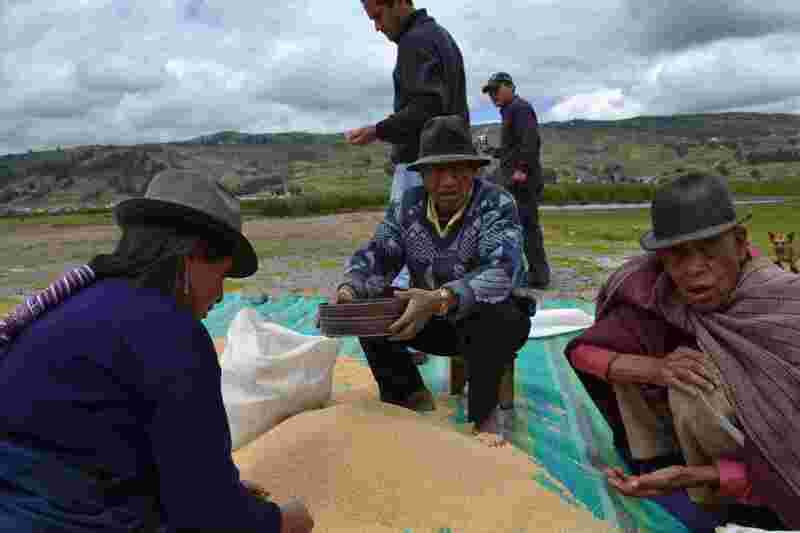 They have their own ‘wet-mill’ processor at the farm, which makes it a little cheaper than using the one at the main beneficio. She has been six years in Fair Trade though she still has conventional conventional production (not organic). It’s a family farm, as her parents produced coffee. At harvest time she hires up to 50 outside workers (which she would do whether even if not in Fair Trade). It’s expensive, but she needs to do it. Marlena is yet another producer who has noticed the effects of a changing climate and she says it’s not in a good way. harvests in a bad way. 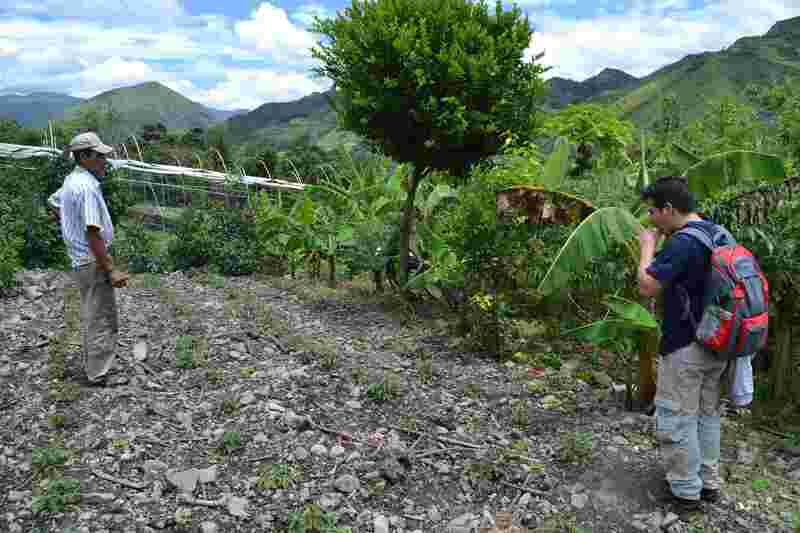 As we walked back to her home, she pointed out an area where she intends to plant more coffee this year – 3,000 plants! When I asked Marlena about the benefits of Fair Trade, she told me there were several things. A good price, coordination and organisation within the co-operative, help (technical assistance) with production. One problem is that she gets paid once per year, in June, when all the coffee has been bought by Fair Trade importers. After Dona Marlena, Eric took me to a new (last year) beneficio. It was small, but the guys were hard at work in the rain. Mauricio gave me the lowdown…when he wasn’t being interrupted by the constant ringing of his mobile phone. 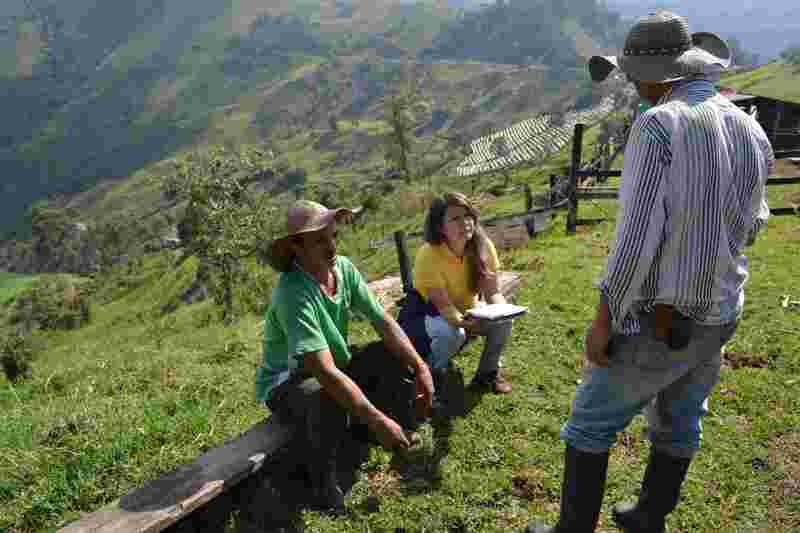 The new site helps the farmers in that area process their coffee more easily. Beforehand, they either processed by themselves or had to drive longer distances for processing. Unusually at this particular site, there was no drying patio because the area’s unique micro-climate made it susceptible to wet weather…as I saw for myself! The beneficio is able to minimise its water consumption by recycling. Typically ‘wet processing’ of coffee uses large amounts of water. I eventually got some time to chat to Fatima, right at the end of the day. She looked busy and tired, yet made an effort to talk with me. She was very open and smiling, which I thought was genuine, even though it was clear that after our talk had finished she still had a lot to do. Our chat was quite business-like, and I felt a sense that I was imposing on her workday. But really I am grateful she gave me the time she did. Nicaraguan coffee is highly rated, particularly coffee from La Estrella, which does well at the national Cup of Excellence competition. 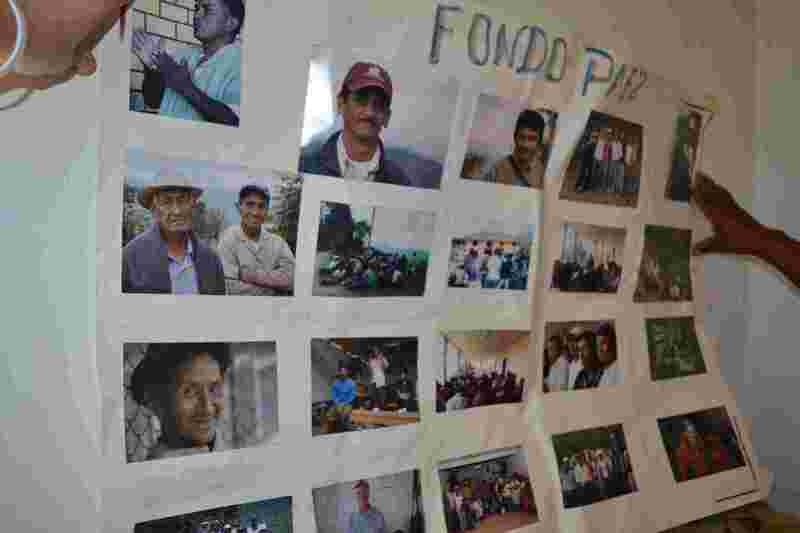 The cafe “Flor de Jinotega” opened five years ago and they have plans to open one in the capital, Managua, later this year. One difference about the coffee served at the cafe is that it is the same quality as the coffee they export. 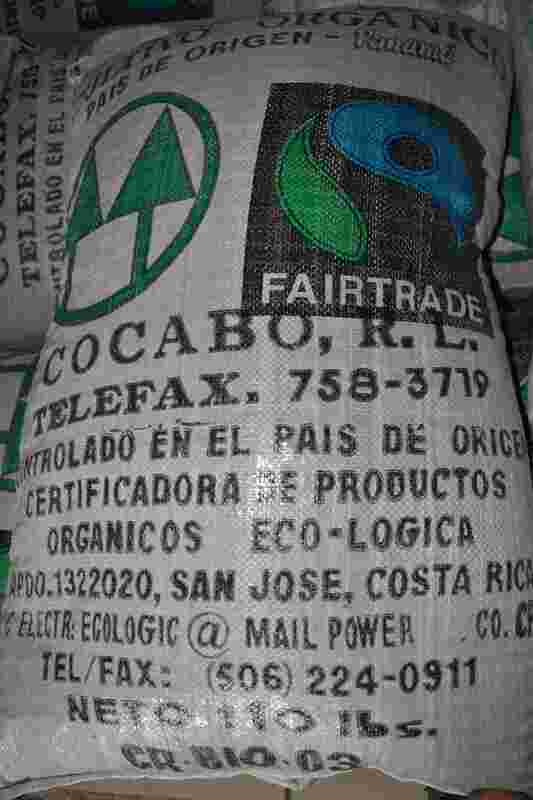 Typically in other co-ops they sell their lower quality coffee to local/national markets. 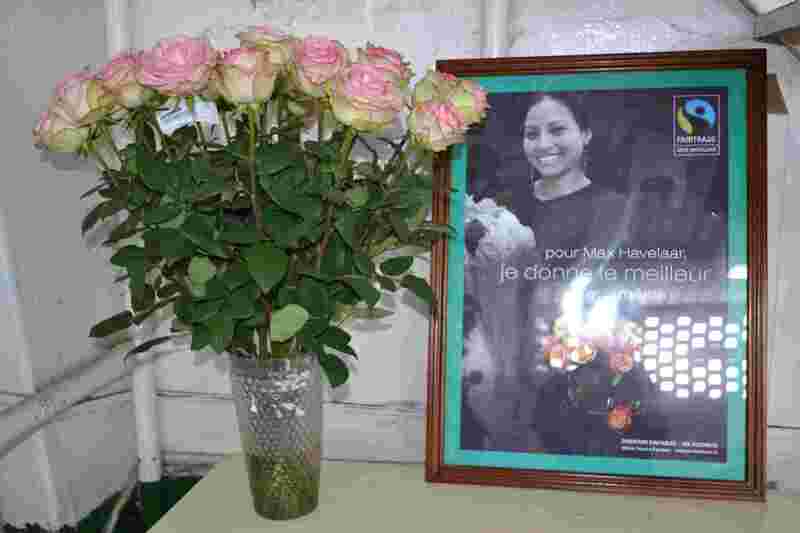 I saw parallels with Guatemala, in that outside charities and NGOs have a large prescence within the country. In SOPPEXCCA’s case, Christian Aid have a long-established relationship to assist the co-op. Nearly 30 years old, it’s an umbrella of 18 co-operatives, with 650 producers. They help 25 communities. It started with 68 producers. 20% is certified organic; 100% is Fair Trade. 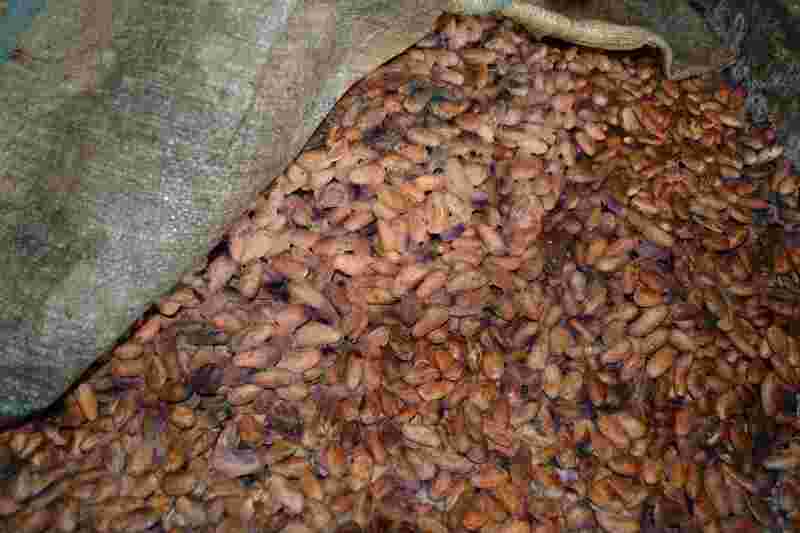 Export 16,000 quintals (100lb bags) annually. PRODECOOP. Yet another acronym that I could barely figure out the meaning of. 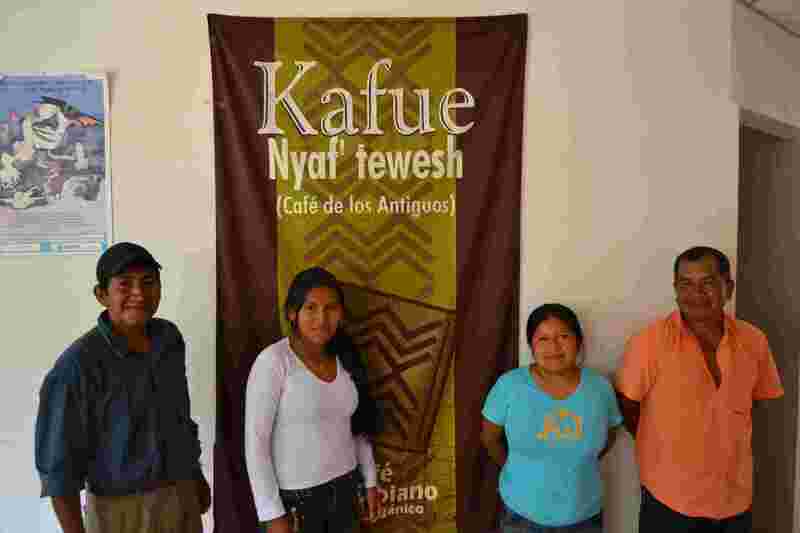 Yet behind the letters there’s another well-established, well-run Fair Trade co-op that has done a lot to help the local communities in the area around northwestern Nicaragua. 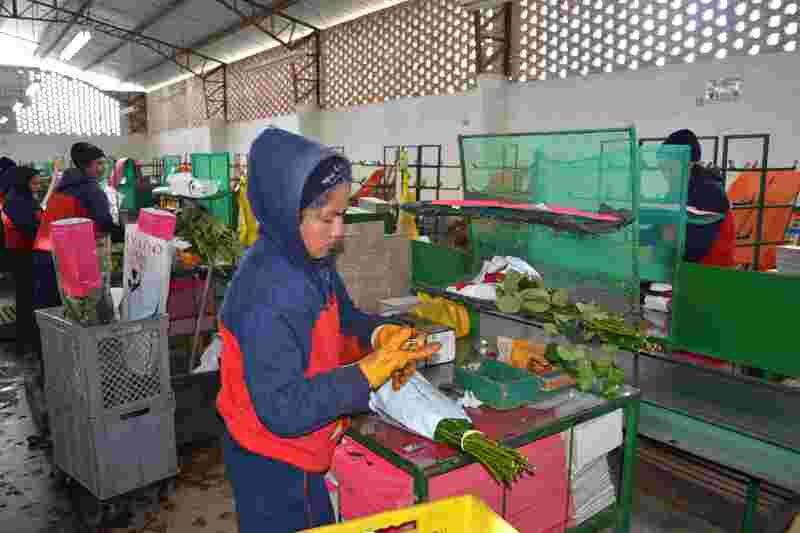 Located in Esteli, it is a large co-operative that was established almost 20 years ago. I knew about PRODECOOP well before my visit. 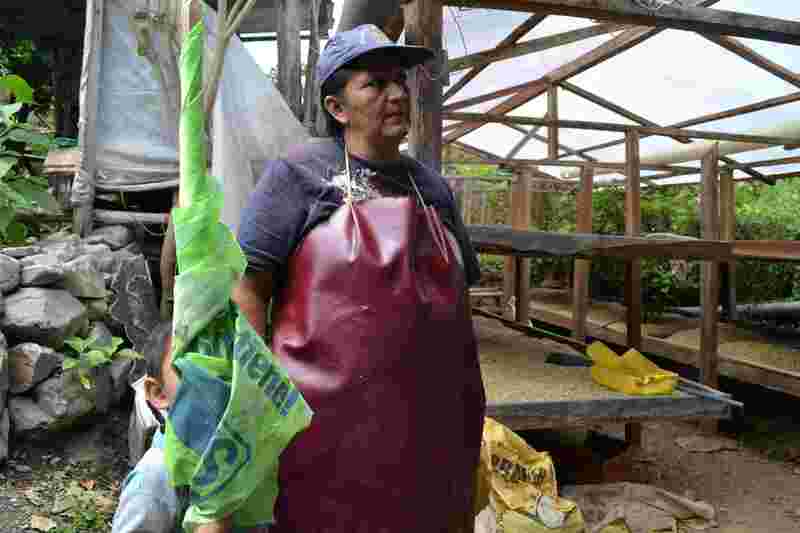 The lady who runs it, Merling Preza, is also President of CLAC, a pan-American Fair Trade organisation (see my post about Cafe Honor, in Honduras to find out a little more about CLAC). I hoped I’d meet Merling for her invaluable knowledge and expertise in Fair Trade. Unfortunately, being President of a co-operative, of CLAC and Cafenica (a collection of several Nicarguan co-operatives) means she is a busy person, and my luck was out. I did get to talk to Mayarling, a young lady who has been with PRODECOOP for six years and works to promote PRODECOOP coffee internationally. She introduced me to many staff at the office, where I got a quick “buenos dias” before rushing on to the next person. 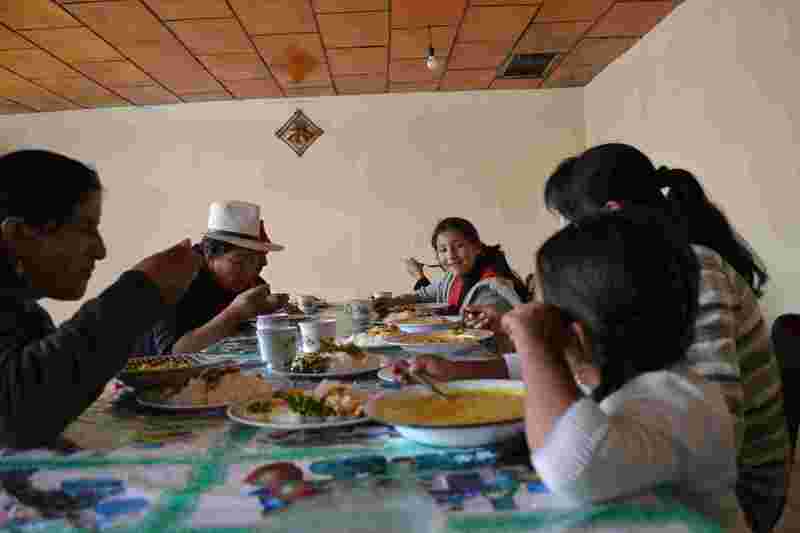 It all looked very professional, and in the typical Latin American way, when 12:00pm came around, it was like a buzzer had gone off, the way everyone stopped for lunch. 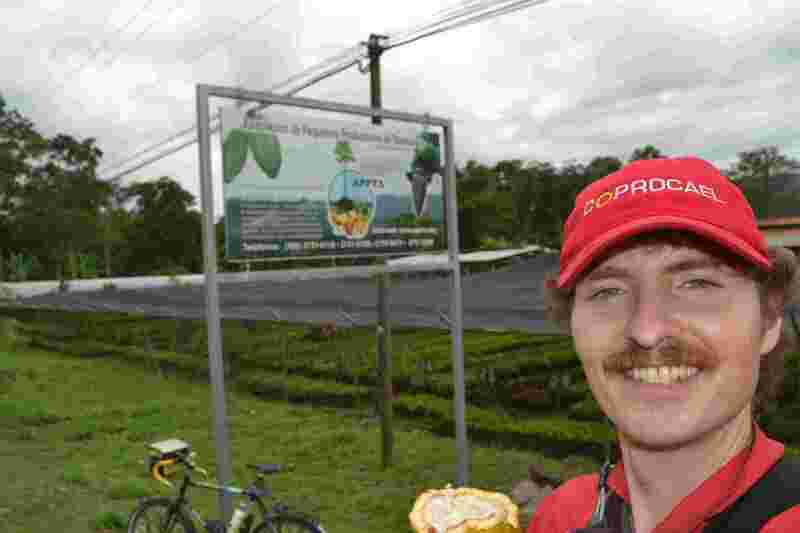 PRODECOOP has 2,300 members, a number that has remained steady for several years. It is a 100% Fair Trade co-op, with 50% certified organic and 25% of its membership are women. 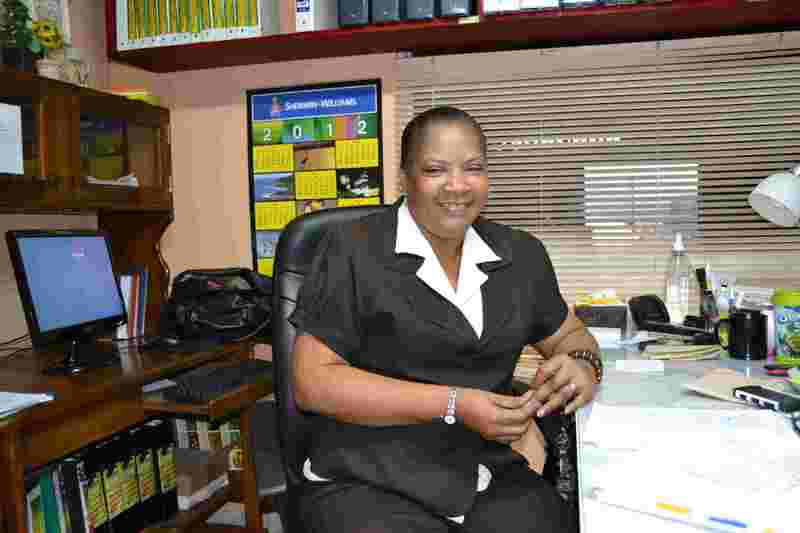 Mayarling says it is difficult to get everybody to meet organic standards. 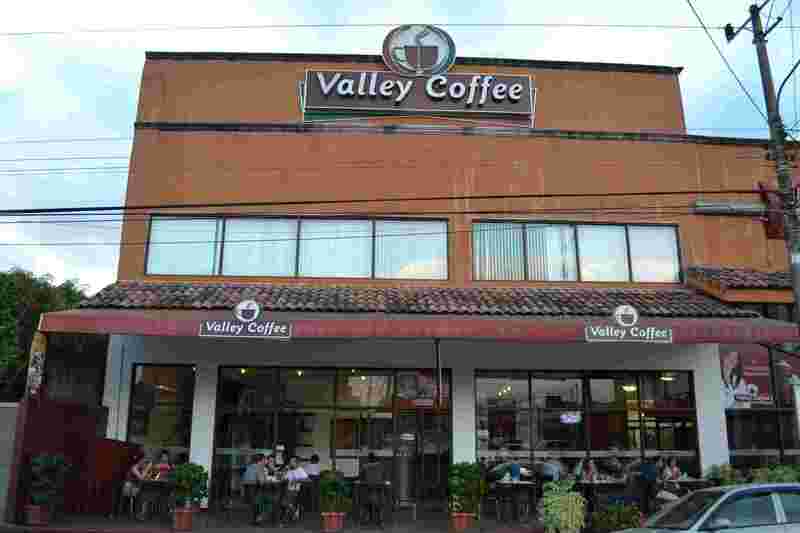 They export virtually all of their coffee, mostly to US and Europe, although in the last few years they have begun exports to Venezuela. 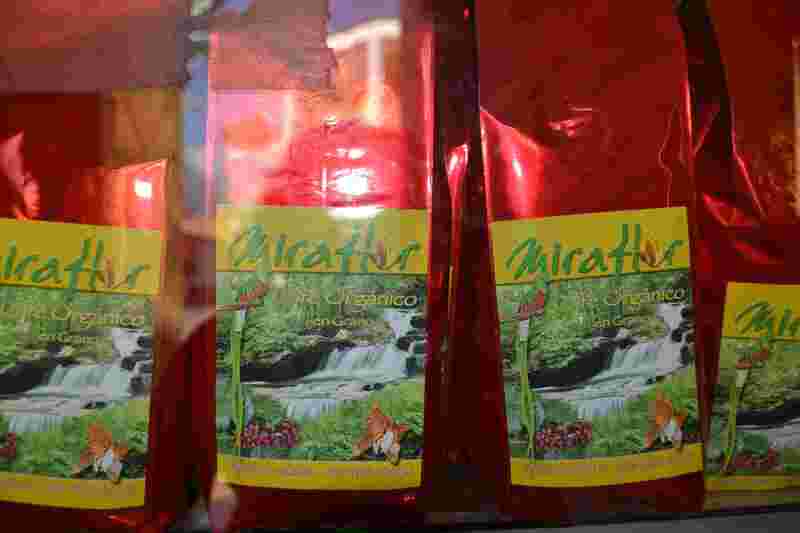 They also produce coffee for the Nicaraguan market, though the coffee is typically a lower standard than that which is exported. 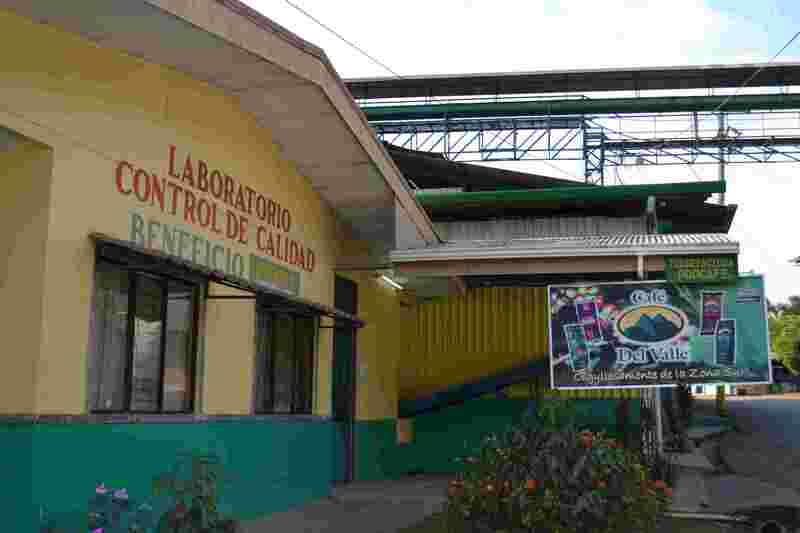 Their beneficio (processing area) is located north of the town. 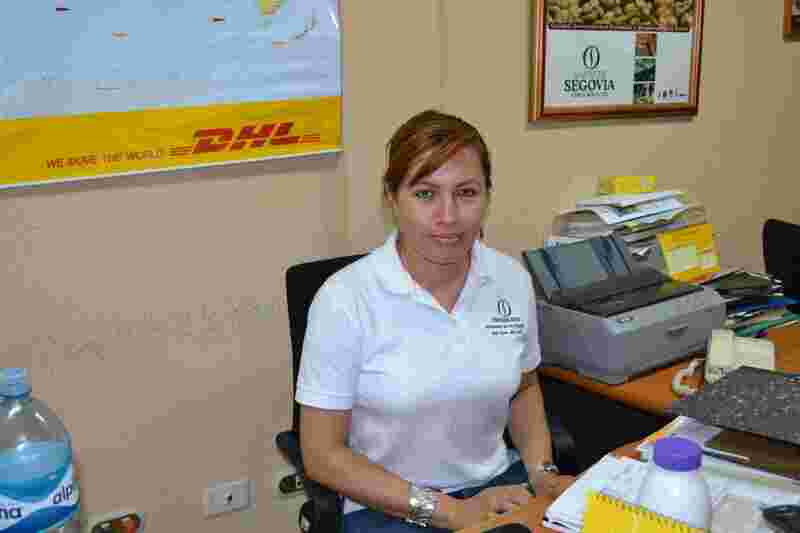 50 employees work in the Esteli office and 12 at the beneficio. 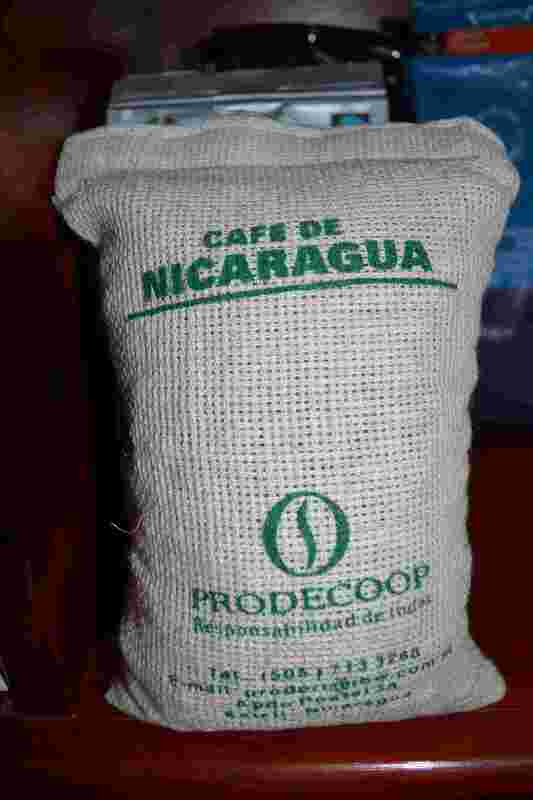 PRODECOOP is a member of Cafenica, a group of 10 Nicaraguan co-operatives that together comprise more than 6,300 small producer members. By joining together, Cafenica is able to do more to help its members than the co-operatives could do separately. 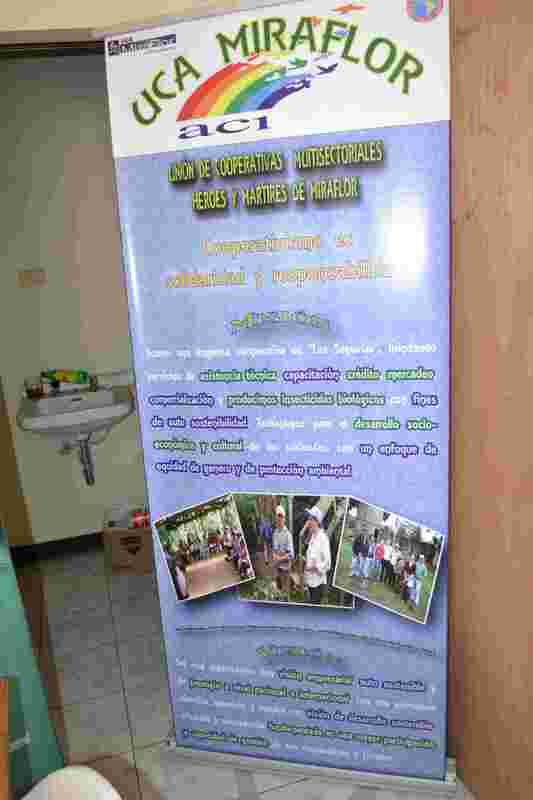 The two other co-ops I visited in Nicaragua, Miraflor and SOPPEXCCA, are also members of Cafenica. The profile of PRODECOOP is quite high in Fair Trade circles, and I asked Mayarling how the co-operative has developed and its success with Fair Trade. It’s a combination of many things. 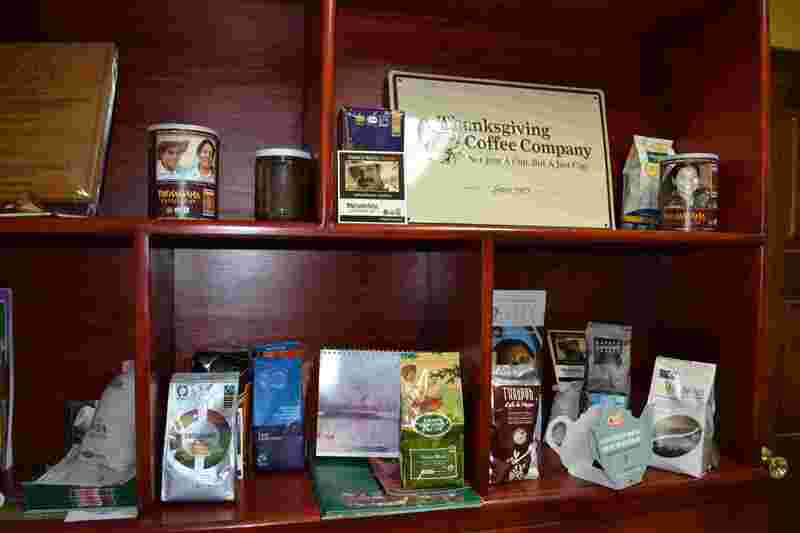 They have good quality coffee – it does well in the national Cup of Excellence competitions. They have high production standards. Other projects are underway, such as the honey pilot project. 55 producers are involved and the project will try to make honey for export. 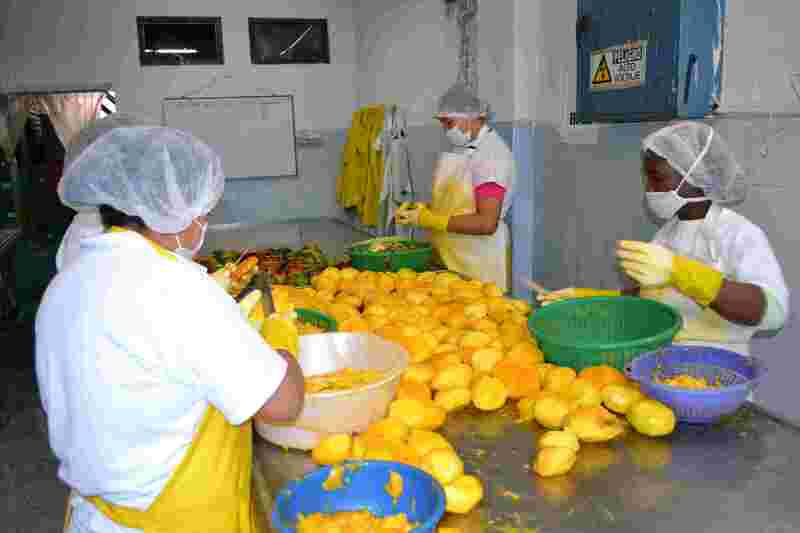 Producers still grow other crops for themselves or to sell at local markets, such as maize, beans and citrus fruit. The co-op has had a good harvest this year. Although climate change is a noticeable problem, particularly for producers’ own food they grow, there hasn’t been any unusual, devastating weather patterns this year. But when production is adversely affected, the co-op helps ensure producers can buy basic foods at good prices, rather than for higher, ‘black market’ prices. One particular success that I saw, which comes from Fair Trade (the “social premium”), is being able to provide school backpacks for children. Last year over 3,000 were provided for all school levels. Mayarling gave me an exercise book that the co-op provided for children too. 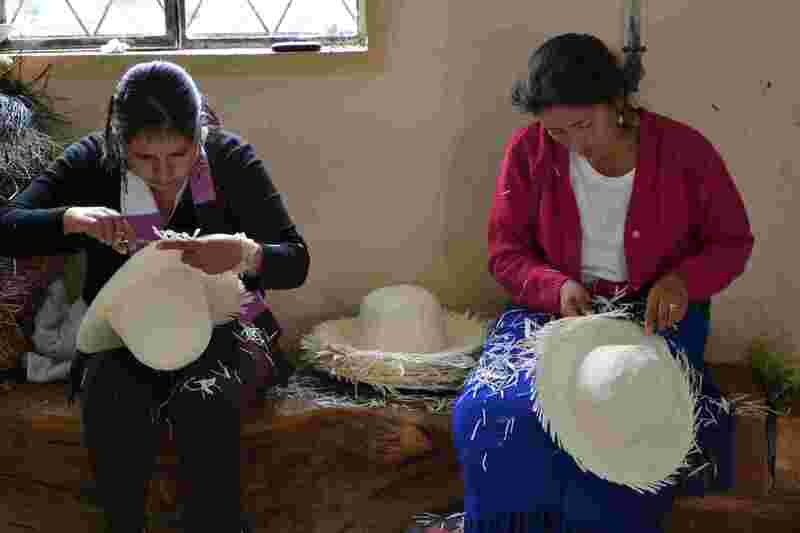 A new building was built at the beneficio with the Fair Trade social premium and assistance from the European HIVOS charity. Medical help, a health centre and technical assistance for farmers are also provided by the co-op. The co-op has good relationships with its buyers, together with long contracts. This is important for stability for the co-op. 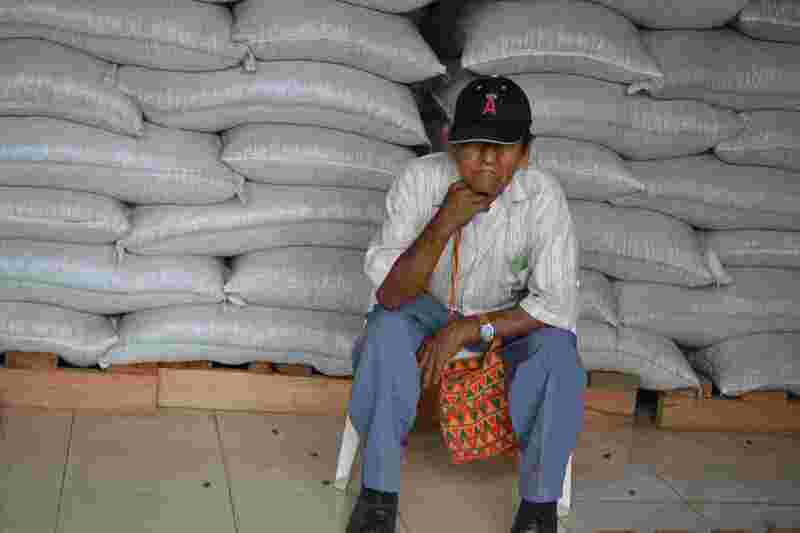 One interesting comment Mayarling made was how Fair Trade has changed the way families managed the harvest. Before Fair Trade, children would help during harvest time. But the Fair Trade standard is no child labour (children under 15). So the families work more closely together now to ensure the coffee is picked in good time and that helps them avoid the expense of hiring labourers. My brief time in Esteli also included a quick visit to Miraflor. Again, it was just an office location but I managed to talk to Marlon, who gave me a little overview of what Miraflor is all about. 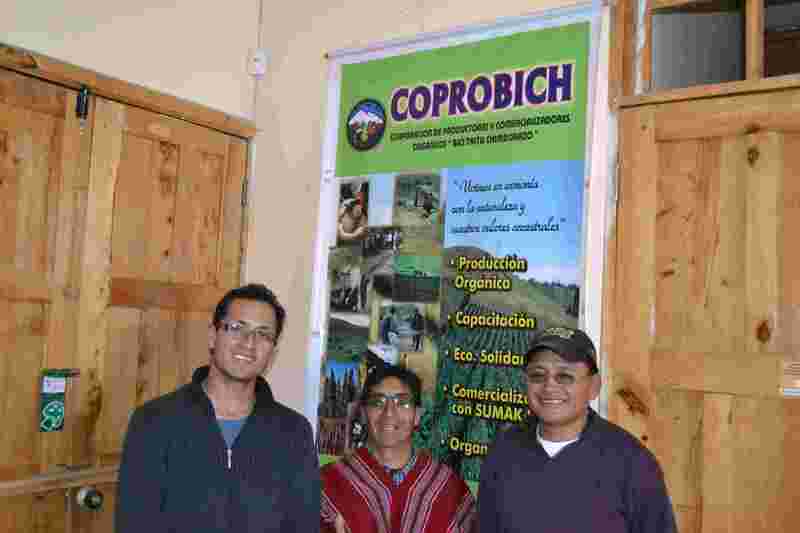 Miraflor is a lot smaller than PRODECOOP, with around 600 members. 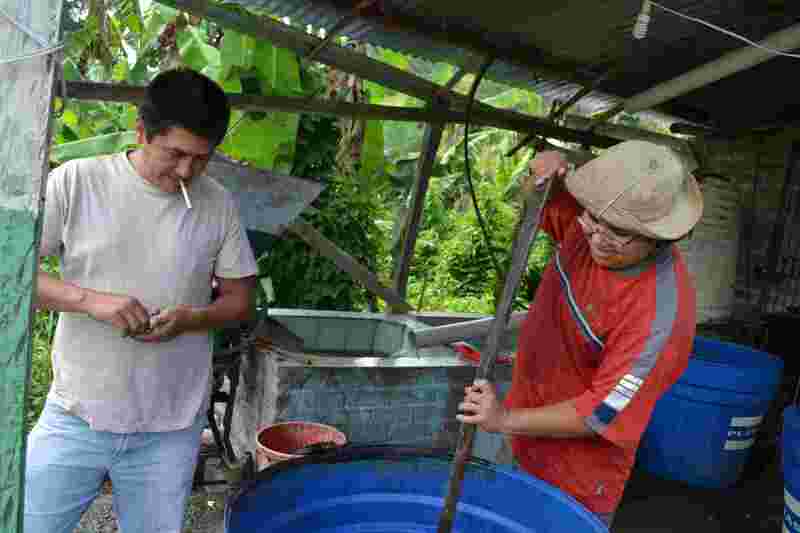 It is a group of 11 co-operatives that cultivate organic coffee, but not just that. 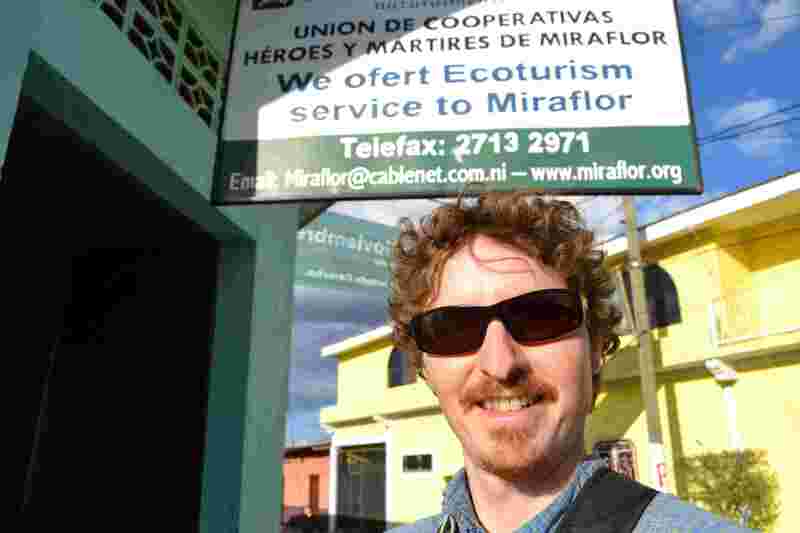 A large focus of Miraflor is in eco-tourism with plenty of opportunities for volunteers (most typically from developed countries). 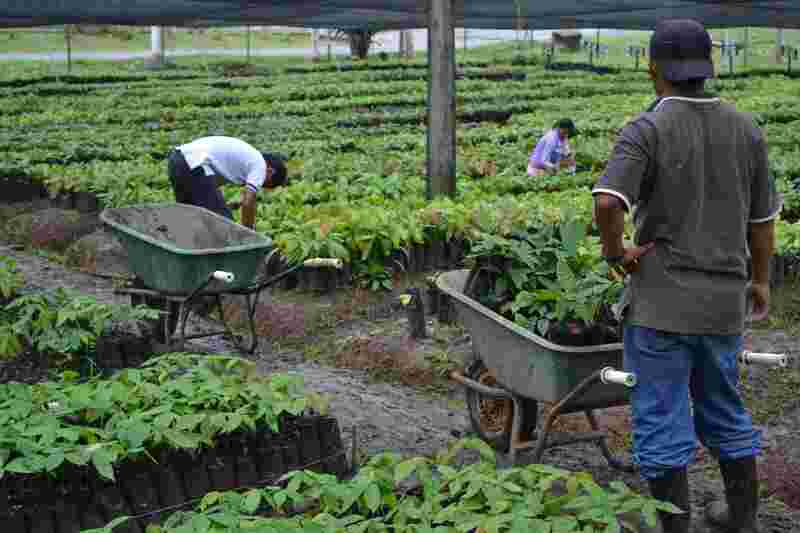 They also grow vegetables and a pilot project is underway to export potatoes to Venezuela. Marlon, who looks young but seemed a little over-worked when I met him, often getting interrupted on his phone, has worked for Miraflor for 12 years and coordinates coffee production and eco-tourism. He was happily persistent in trying to convince me to visit their eco-tourist finca. 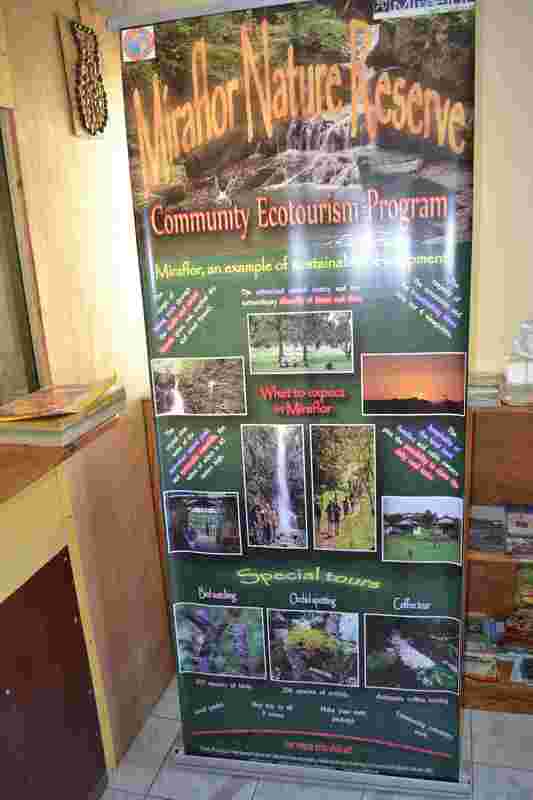 He explained how important a successful eco-tourism project is to the co-op members. I did notice parallels in Nicaragua with Guatemala, in that many NGOs have interests here. Although I saw only glimpses of the most rural areas, many Nicaraguans have struggled through poverty over many years. External aid has brought many different projects and eco-tourism and volunteer opportunities are popular. Typically a volunteer will spend 2 months situated in the countryside with the producers, living on or near one of the fincas, or with a family. They undertake work to help preserve nature and the environment. Over the years, deforestation (among other things) has had severe effects in many areas. By involving local people in these initiatives knowledge is shared and it helps to put the communities in a better position to help themselves. 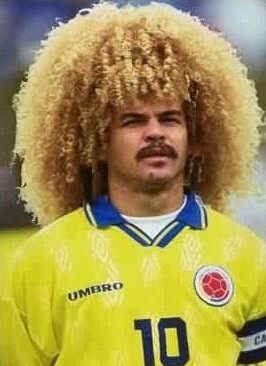 When I asked Marlon about Fair Trade, he was a strong advocate for it. He has seen the evidence of it working and its value to the co-op communities. 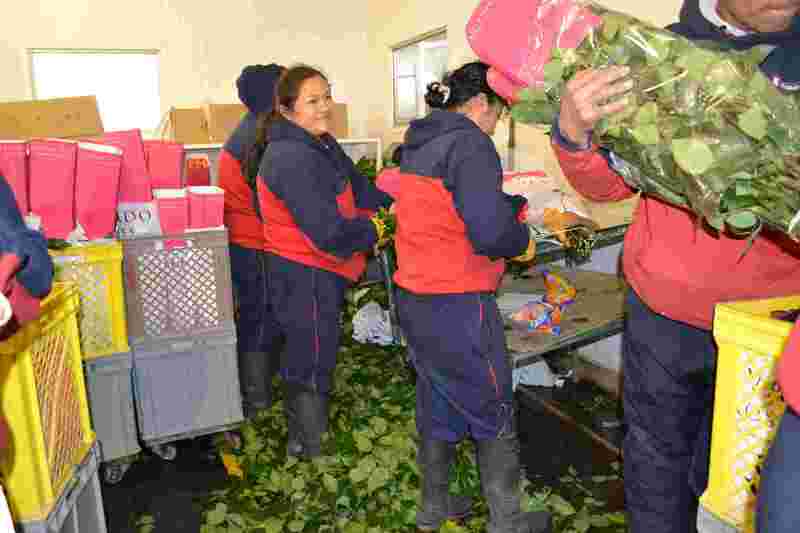 As well as helping the producer families themselves it also helps the environment. He did stress the need for Fair Trade to be well organised within the communities, particularly when the initiatives are starting. I had to agree with him – the most successful Fair Trade examples I have seen tend to have a strong commitment from the communities. Benefits from Fair Trade that the co-op receive are spread throughout their communities, so everybody can benefit, not just co-op members, for example with health and education. 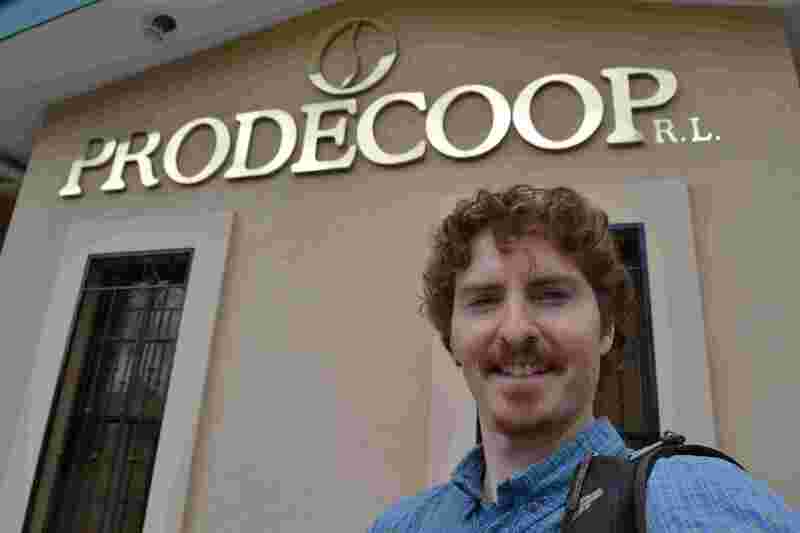 Coming away from Esteli having visited PRODECOOP and Miraflor I felt only partially satisfied with my visits. Talking to someone in an office was good, but I would have learned more from spending time with other producers in the countryside. I’m always grateful for the time I do get with people, but it can be hard to get a real feel for a co-operative when it’s a short meeting in an office. Sitting on the crowded bus, I marvelled at how quickly the miles passed and yet how I was missing all that was happening on the road. I could look out the window, but it wasn’t the same as seeing everything from the seat of my bicycle. But when the bus slowed to a virtual standstill, the driver ragging the gearing to get into first, I did feel slightly happier that I wasn’t riding up some steep mountain roads. 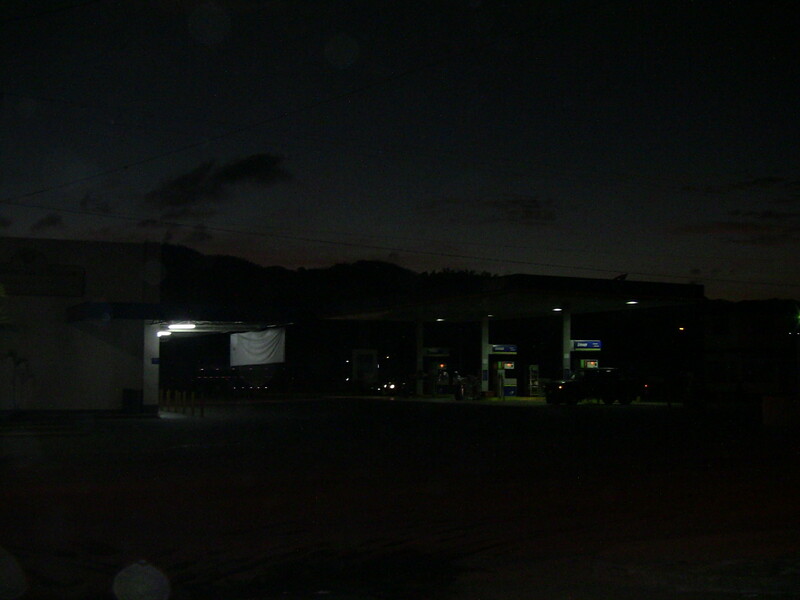 My few days in the Santa Rosa area in western Honduras were really interesting. But time was running out and I needed to make tracks towards Panama. It meant some long bus rides lay ahead. The first of which was getting to the Honduran captial, Tegucigalpa. 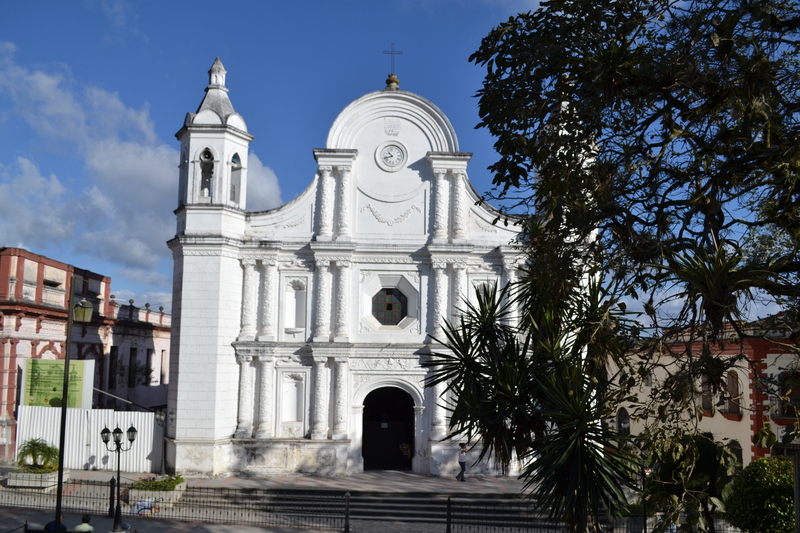 Tegucigalpa was a place I wanted to spend as little time as possible. I heard negative things about it and the bus terminal was not in the nicest area of town. Arriving late afternoon I hope to be on my way first thing next morning. I didn’t get to see any of its nicer spots, unfortunately, so my experience is one-sided. I did get to wander about a little bit, but I was on edge almost the whole time. It’s a shame that I wasn’t able to see its good side, which it does have. My hotel was perfectly fine and safe, but I was glad it was a quiet Sunday morning when I left. I needed Plan B, as the bus to Managua, the Nicaraguan capital was full. It meant a bus to the border, skipping over and more buses from the other side. Not ideal, but getting to Esteli was do-able in a day. Except…I get to the bus stop and they tell me they can’t take my bike. Unbelievable! I thought these bus people could take anything. Not this time, even though I waited for another bus. Eventually they pointed me over the road, to catch a different bus. It got me going, though not quite as far as I hoped. Eventually, after another bus ride, I was close to the border. I fancied cycling the remaining 15 km, even though it was uphill and I didn’t have much time that day. But it felt a lot easier than juggling the bike and the buses. The border was its chaotic self. I even smiled at the $12 ‘tourist’ fee. Money changed, I saw the Nicaraguan bus. Relief! It was a “school bus”. This typically means anything goes, and with little fuss Edna was loaded up on the roof. We drove through more coffee country and I felt quite at home; the bus was packed, sweaty and jarring. But it was short, and I transferred to yet another bus in order to get to Esteli, my stop for the day. I timed it perfectly, after paying for tickets and toilets we were on our way again. This bus was a proper coach, so I got to sit back and reflect on my chaotic day. Four buses, a border crossing, an hour of cycling…and, very relieved, I made it to a simple but very nice hotel in Esteli just before dusk. 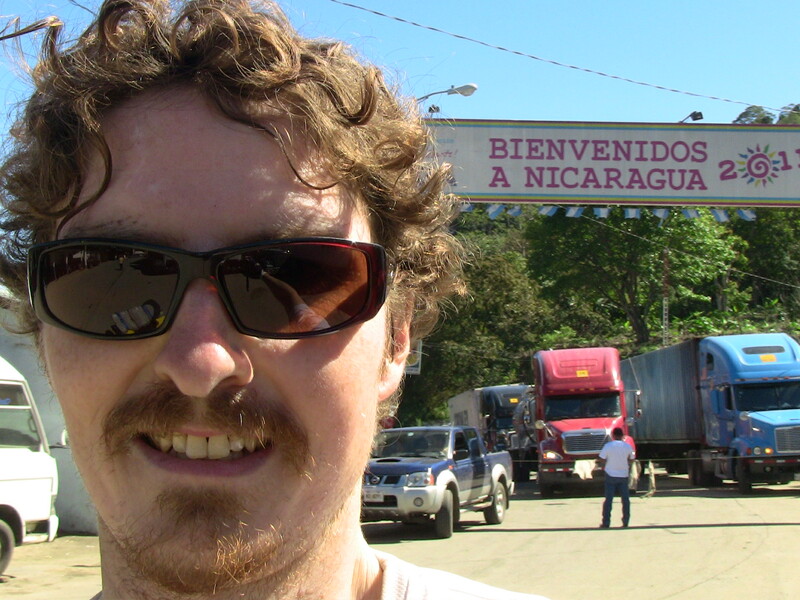 I was very relieved to get through El Salvador and Honduras. I’d heard plenty of negative things about each country, and though my experience was generally good, I always had a sense of caution in the back of my head. When even local people urged caution, as in El Salvador, it made me take notice. A couple of other cyclists I’d met in Mexico had their trip ended after later being robbed in Honduras. And though I was cautious, I had some very good experiences in both countries. The people were generally very welcoming, friendly and hospitable. Each country has a lot to offer visitors and I often felt that we listen to the media too closely when it comes to travelling. Sometimes you just have to put that to one side. The best way is to get out there and experience it for yourself. So I set out on foot up the dirt road. 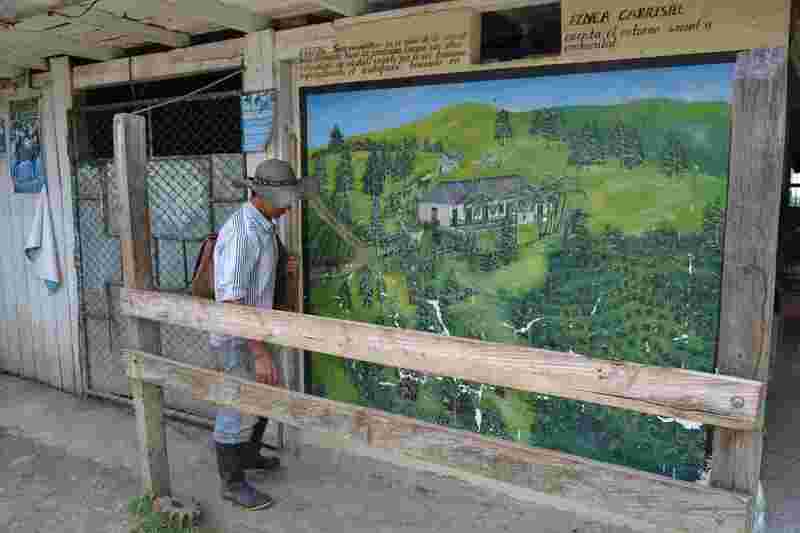 14 km away was the co-operative Las Capucas (COCAFCAL). I figured I’d make it there by 1pm anyway, if no one showed up. However, my luck was in and my 2nd attempt at thumbing got me onto the back of a pick-up. “Las Capucas?” “Si, senor”. Great, I was going to make it. And after two bus rides already that morning, it meant it only took three hours to get there from Santa Rosa. It was certainly worth the trip. This time I’d actually made arrangements with Jose Omar for my visit. Unfortunately by the time I showed up he was otherwise occupied and wouldn’t be back until late afternoon. However, there was more than enough there to keep me occupied and Jose Luiz took me to visit some producers in the afternoon. The producers I met that day could have been characters straight out of a cult film…Jose Isidro – Speedy Gonzalez, Pedro Romero with his illicit booze, and Francisco with one arm. The Las Capucas story is inspiring. 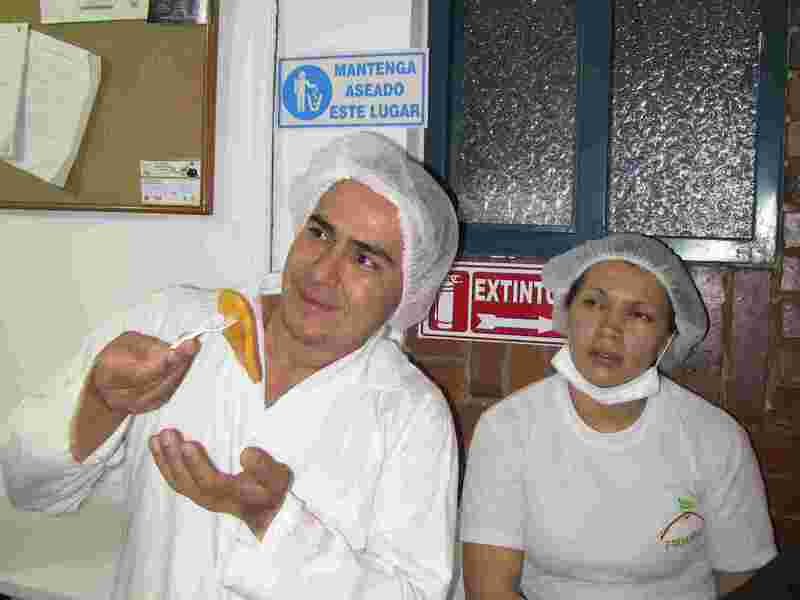 Established in 1999, Jose Luiz helped fund the start the co-operative and has been President for the last four years. It started with 24 producers. Now the co-op is 100% Fair Trade and organic certified (plus Rainforest Alliance and “4C”). 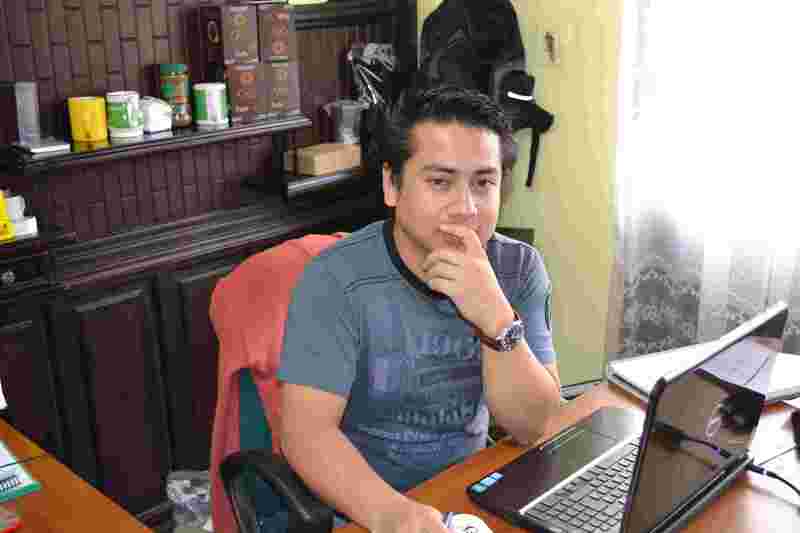 Jose has lived in the area his whole life and is passionate about the area and the community. He’s seen the co-op through the hard years to build it up to what it is today, and he’s an award-winning producer himself too, placing 3rd nationally. Jose took me to visit some producers, and when I got in the passenger seat of his truck, I gave the gun lying on the seat a dubious look. Jose sensed my apprehension, told me it is ‘useful’, but to my relief decided it would be better housed in the glove compartment. The success of the co-op is down to Fair Trade, according to Jose Luiz. Investments in the health centre, school, library, football pitch and the construction underway on my visit, were not possible without Fair Trade. He has been able to get a very committed response from the community, not just the producers, and that has made a big difference. Their buyers come back year on year and they are also investing in tourism, with three modern cabanas almost complete. Some really effective initiatives include the electronic/virtual library for the community’s education, their branding is consistent and modern, a well-run website. The internal annual ‘cupping’ competition encourages improved production from the producers and their education. External buyers are invited as well, which cements those relationships. As I waited for the crowd to return Jose Luiz kept an eye on his Facebook page and seemed to be chortling away at whatever was amusing him. It’s not something I quite expected, but then my day was full of the unexpected. I was told that Jose Omar was out with a ‘delegation’ for the day. It included people from the national coffee federation and a coffee buyer, a Swiss guy. Knowing I could get a lift all the way back to Santa Rosa with them, I stayed until they arrived back. Enrico, the Swiss buyer, was a beanpole of a man with a pencil, greying moustache. However, he was easy to talk to and said he really enjoys his job (well, who wouldn’t…). He didn’t let on about who he worked for and we only got a little chat in the car on the way back. I’d have loved to have learned more. What really convinced me that this is a really good example of Fair Trade in action is the commitment of the co-operative and the ‘buy-in’ that they have from the community. The area is quite isolated and yet the community is doing well and continues to make improvements to the lives of the people there. With everyone having a vested interest in the success of the project, there’s a greater incentive to see it succeed. I’d seen eco-tourism initiatives in other co-ops that didn’t look like they would immediately succeed, but this one appeared different to me. They regularly try to meet with their buyers, they involved the community and they have and continue to make investments in their infrastructure. It also helps that they have a website with information in Spanish and English. One other advantage they had was being able to work with external NGOs (non-governmental organisations) that have enabled internships to the co-op. Whether by luck or design, that brings more exposure and a commitment to improve things there. 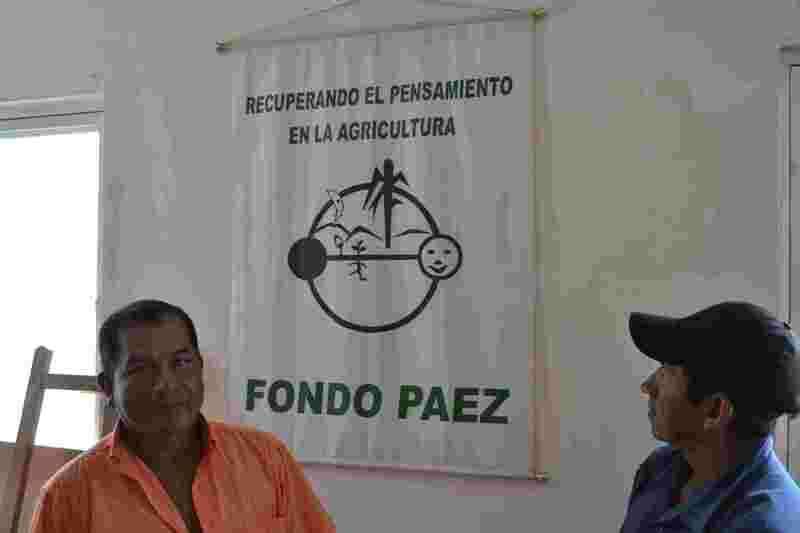 The driving force of people like Jose Luiz and Jose Omar means that this co-op is in good hands for the foreseeable future and should continue to benefit and improve the local community.